Regulation - The normative framework of restraint systems. Regulation - The normative framework of restraint systems. CE marking has been mandatory since 1January 2011 for road restraint systems (RRS). It is based on the provisions of the European Standard EN 1317 which defines the performance of the restraint devices and evaluates its efficiency through real-life impact tests. In France, the RNER (National Regulation of Road Equipment) indicates how CE marked barriers shall be used on road network according to type of roads & traffic conditions. 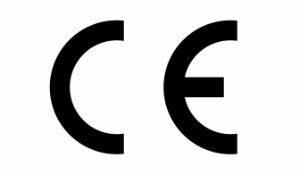 All TERTU steel backed timber guardrails have received the CE Marking Certificate of Conformity on December 21st, 2009, issued by Notified Body ASCQUER. 2- Factory Production Control FPC. The quality of Tertu guardrails and their durability in service are established and recognized by the respect of a single standard, community and harmonized. Tertu is particularly committed to improve road safety, particularly through its actions within several French and European regulatory bodies. 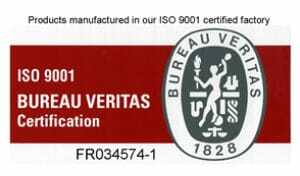 ISO 9001 defines the criteria for a management system. This standard is based on a number of quality management principles, including a strong customer focus, motivation and commitment of the company management, process approach and continuous improvement. ISO 9001 helps to ensure that customers get consistent, high-quality products and services with, in return, great business benefits. In a general context increasingly sensitive to environmental issues, the certification of sustainable forest management is now an essential prerequisite for the development of the timber market. To make its approach to the consumer a reality, PEFC imposes a chain of supply monitoring at all stages of processing and marketing of products. The PEFC logo guarantees to the consumer buying a wood product that he contributes to the sustainable management of forests. With PEFC, the wood industry has a competitive argument against other materials. In comparison with other certification systems around the world, PEFC represents the largest ​​certified forest area. 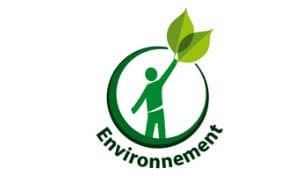 This certification confirms that all the timber supplied to manufacture our mixed wood & steel barriers come from a sustainable French forest management plan. This noble specie, also called « Oregon Pine » in the U.S.A. combines two well-appreciated qualities : structural resistance and durability 80% of the European production grows in France: Tertu promotes a local specie for competing against exotic wood in outdoor applications. This specie can be used natural or pressure treated in order to improve its life expectancy and is recyclable. Meanwhile we continue to promote other locally sourced species as larch, oak, chestnut & black locust in order to answer all demands. To increase its durability, the wood could be treated. Tertu ensure a treatment in autoclave without chromium or arsenic. Tertu garanti un traitement en autoclave sans chrome, ni arsenic. World leader in the market of mixed wood-metal guardrail, the French company Tertu became in a few years a key actor of road safety in the world. Thanks to its expertise and knowledge of the field, Tertu is the preferred partner for your road and off-road projects.